﻿ Aishwarya Rai to Gauri Khan, 7 times Bollywood celebs ruined their faces with horrible makeup! Aishwarya Rai to Gauri Khan, 7 times Bollywood celebs ruined their faces with horrible makeup! We absolutely love Bollywood divas but we're not sure what happened to their style choices when they stepped out looking like this! Bollywood actresses have a lot of things to take care of when they step out — outfit, hair, accessories and most importantly makeup. Hey, we understand that a paparazzi needs to back off and let them chill a little, they are human beings after all! We all need to cut them some slack if their hair isn’t on point and outfit/makeup isn’t on fleek but if they step out looking like colorful cartoon characters, people can’t help but notice. We absolutely love these divas and most of them are style icons in their own right, but we’re not sure what happened to their style choices when they stepped out looking like this! They set tongues wagging and one can just hope that they’ve long fired the makeup artists who did this to their faces! Aish is one of the most beautiful women on the planet, no doubts there. We’re not sure what went wrong here though. Did the makeup artist secretly hate her? Did Aradhya Bachchan use her mom’s face as a coloring book? We don’t know, but we’re furious! No makeup artist should be allowed to do this to Aish! Gauri is elegance personified. SRK’s main lady is always on point when it comes to her makeup and outfit choices but WHAT happened here? The bright mauve lips, the drawn on eyebrows and that shimmer on her arms. Just NO. We get it that this image is from the early 2000s and everyone was committing heinous fashion crimes, but the overly shiny face and almost non-existent eyebrows are disastrous. And why did Gauri’s makeup person forget to blend the lip liner? If there’s a style icon today, it’s Kangana. We can forgive the hair and call it a bad hair day, but that patchy concealer and those overly glossy lips? Fire that makeup person, Kangana. We don’t even know where to begin. Why Priyanka, why? Would this list be complete without Rakhi? Btw that contour could put all the Kardashians to shame. ALSO READ: 7 Bollywood and cricket celebs and their love for super expensive watches! 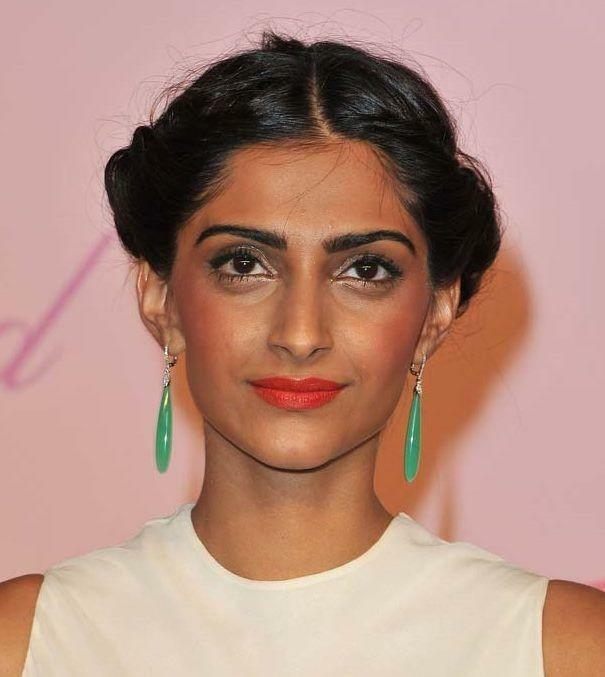 We’re pretty sure when style icon Sonam decided to walk out looking like an Oompa Loompa, she was doing the no mirror makeup challenge.